To the extent that it is practical to do so, the Treasury will attempt to deduct tax at source from income. As such, receipts of bank interest and dividends will typically have tax deducted at source. Similarly tax on employment and pension earnings will have been deducted at source. The system which is used to deduct tax at source from earnings is Pay-As-You-Earn, shortened to PAYE. A PAYE code is short combination of numbers and letters which is issued to each employee and pensioner receiving UK earnings. The code is used by an employer or pension provider to calculate how much tax to deduct from pay. Shortly before the start of the tax year (on 6 April) HMRC will send a PAYE coding notice to all employees and pensioners. The coding notice explains what tax allowances a person is entitled to and the deduction that will be made from those allowances. The PAYE coding notice is called a form P2. If it is provided during the respective tax year, it is a P6. A counterpart of the PAYE coding notice, a form P9, is sent the employer. The P9 will state just the code to be used. The calculation of that code is confidential and therefore only issued the employee. The number on a PAYE code is the sum of factors that reduce tax liability less those elements that increase tax liability. The last digit of the resulting amount is then removed. If the allowances are greater than the deductions, the letter L is placed at the end of the code. If deductions are greater than allowances a letter K is placed at the start of the code. A K code will increase tax deducted at source. However, the K code cannot cause more than 50% of gross pay to be deducted in tax. This is known as the regulatory limit. If tax is limited to the regulatory limit in a pay period, the underpayment of tax for that period will be added to the tax deducted at source from a future pay period. Any underpayments of tax for the whole tax year are added to PAYE code for future tax years. For instance, if a personal is entitled to a full personal allowance of, say, £11,000 and incurs professional subscription costs of £1,053 from take home pay, the PAYE code would be 1205L. If a person has no personal allowance (for instance, because their income exceeds the personal allowance abatement threshold) and is the employer is expected to pay for private medical insurance worth £1,097 a year, the PAYE code would be K109. The PAYE code T indicates that a person is not entitled to a personal allowance. For a personal with income over the personal allowance abatement threshold, a code 0T would be used. A person with no personal allowance entitlement and who pays for their own professional subscriptions of £2,000 a year would have a tax code 200 T.
Certain information on a PAYE coding notice can be accurately determined. For instance, the personal allowance and the state pension are known in advance. However, information on medical insurance benefit or on pension contributions will depend on occurrences during the tax year which are unforeseeable. However, in an attempt to ensure that the amount of tax deducted at source is as close as possible to the actual tax liability, HMRC will assume that circumstances have not changed from a preceding tax year. If medical insurance of £1,000 was received for a previous tax year then tax will be collected as though an additional £1,000 of income has been received for the current tax year. Since items such as private medical insurance and charitable donations rarely stay the same from one year to the next, the PAYE code is frequently wrong. For instance, a decrease in pension contributions will not straightaway lead to an increase in tax deducted at source. Too little tax would be deducted at source and further tax would be due after the end of the tax year. Typically, PAYE coding notices are based on the preceding tax year, but one. For instance PAYE codes for 2016/17 will be based on information from the 2014/15 tax year. This is because, tax codes are issued before the start of the respective tax year. Often more than one tax code will be issued for each tax year. When the employer receives the new code there may be fewer months remaining in the tax year in which the correct amount of tax can be collected. PAYE code changes mid-way through the tax year have cash flow implications. If an individual has more than one employer or pension provider the second employer will usually be given a code BR. This code indicates that the basic rate tax has been deducted at source. This is because the benefit of the personal allowance has been given by one employer. On the second employment the allowance would have been used up, so tax will deducted at the marginal rate. The marginal rate of tax is the amount of pence in tax paid for every extra pound of income. It can be contrasted with the effective rate of tax, which is tax liability divided by income. For a basic rate taxpayer the PAYE code is BR. For a higher rate taxpayer the code is 0T. The PAYE code system is imperfect and therefore the code given to another employer may not result in the correct amount of tax deducted at source. For instance, if the personal allowance is £11,000, an employer would receive the PAYE code 1,100 L. A second employer may therefore receive the code BR. However, if income from the first employer is only £8,000, then basic rate tax would be collected on £3,000 and therefore too much tax would be deducted at source. The outcome of an incorrect tax code is discussed below. Frequently a tax code will be incorrect. This results from the reliance on historical circumstances, which are prone to change. 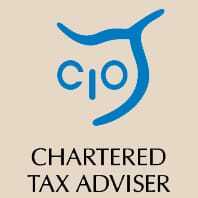 Where a taxpayer does not file a Tax Return, and tax deducted at source is not corrrect HMRC will post a tax calculation on form P800. 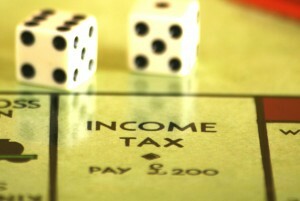 HMRC is due to issue a refund if too much tax has been deducted at source. Refunds by cheque are due to take 14 days to arrive by post. If too little tax has been collected at source, and the tax due is more than £3,000, HMRC will make a demand for payment. If tax due is less than £3,000 HMRC will adjust the PAYE code for future years to collect the additional tax due. For poeple in self-assessment, employment and pension earnings and any tax deducted at source forms part of the Tax Return. Consequently, an overpayment or an underpayment of tax at source will be subtracted from, or added to, the overall tax payable. For instance, if a person has too much tax deducted at source and also rental profits, the tax deducted at source will be used to reduce tax liability on the rental profits. Any net overpayment will be refunded via self-assessment. An incorrect PAYE code has a cash flow implication, because eventually the correct amount of tax to pay should be adjusted for. However, it is possible to request for a PAYE code to be changed via the HMRC website. The PAYE code reflects the net difference between allowances and deduction from those allowances. If too little tax was collected in previous tax years, the current year tax code may be adjusted accordingly. For 2015/16, the basic rate of tax is 20%, higher rate is 40% and additional rate is 45%. For a person who has a 20% marginal rate of tax; tax will need to be multiplied by five in the PAYE notice. For instance, if the personal allowance is £10,600 and there is an extra £1,200 in tax to collect, the PAYE code will be 460L. The extra tax to collect is the equivalent of £6,000 income. Provided a Tax Return is filed before 30 December (after the end of the tax ear) and the tax due is less £3,000, a taxpayer can request that tax due via a Tax return is collected through the PAYE code. Contributions to an occupation pension scheme have no effect on the PAYE code. This is because these contributions are deducted from gross pay. Private pensions have basic rate tax deducted paid by HMRC direct to the pension provider. No further tax relief is due. For employees and pensioners who are higher rate, or additional rate, taxpayers the PAYE code will need to be adjusted. The effect of pension contributions on a PAYE code can be more complex to understand. Basic rate tax has been paid directly from HMRC to the pension provider. An additional rate taxpayer pays 45 pence for every extra pound of income. Therefore, pension contributions achieve a tax saving of 25%. This is the difference between the 45% marginal rate and the 20% basic rate. For instance, gross pension contributions of £10,000 bring an additional rate taxpayer a reduction in tax payable of 25% or £2,500. For this taxpayer, £2,500 in tax saving is equal to a decrease in income of £5,556. (£5,556 can be found by dividing £2,500 by 0.45.) Therefore the tax code would be 555 T.
As a further complication a gross pension contribution of £10,000 is actual payment from take home pay of £8,000. This is because HMRC pay the extra 20% directly to the pension provider. The tax to deduct at source is calculated by applying the PAYE code to the rates applicable for the tax year. These rates are referred to as the tax tables. The higher rate tax threshold will vary depending on the tax year. Taking a fictional example where the basic rate tax threshold for a tax year is £35,000, a person has an income of £75,000 and tax code of 1,000L. The first £10,000 of income is treated as tax free, the next £35,000 is taxed at 20%, giving rise to tax of £7,000, and the remaining £30,000 would be taxed at 40%, giving rise to tax of £12,000. Consequently, if payroll is operated properly, £19,000 in tax would be deducted at source. Pay is assigned in intervals usually of a month or a week. A proportion of the allowance, as determined by the PAYE code, is applied to each pay period to find the tax to deduct at source. To take a simple example, an individual with an allowance of £11,000 would have a PAYE code of 1,100L. Being paid monthly, the first £917 of pay would be tax free. Where a person leaves employment part way through a tax year this can often result in an overpayment of tax at source. Following the example above, if a person only worked for five months, they would have been given the benefit of roughly £4,585, that is, six lots of £917. However, the total allowance is £11,000. Therefore, £6,415 has been taxed that should not have been taxed. If the leaver does not have any income for the rest of the tax year, probably too much tax would have been deducted at source. Tax overpayments of this sort are common for people leaving the UK, taking a career break or stopping work for any other reason. Overpayments are less common for joiners, unless they have been assigned a non-cumulative tax code, which is explained below. The most usual method for calculating PAYE is the cumulative basis. In working out how much tax for a given pay period, account is taken of total pay and tax deducted from the start of the tax year. Continuing the example above, if £917 was deducted for the preceding four months since 6 April, then the first £917 would be tax free in month five. However, for an individual who has joined part way through a tax year and not had an income since 6 April, more allowance would be available. For instance, let us say a person had an allowance of £10,000 (a PAYE code of 1,000L.) This individual has not had any income since 6 April; starts work in October. October is the seventh month since the start of the tax year. 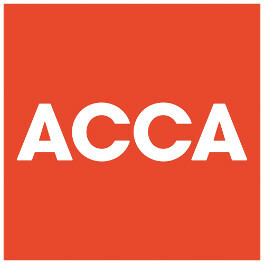 By the time of the first pay on 31 October, 7/12ths of £10,000 allowance has accumulated. Therefore, up to £5,833 can be paid without giving rise to any tax deducted at source. Where a joiner has had another paid job since the start of the tax year, some allowance would have been used up. If the joiner provides their employer with their total tax and pay to date (via a P45), the cumulative basis can be used. However, where information about cumulative tax and pay to date is not provided, the cumulative basis is not used. This is because, as demonstrated above, the employee would have the benefit of tax free allowance that they may not be entitled to. Therefore, the non-cumulative basis is used. Here, the allowance is divided into twelve. Continuing with the example, a joiner starting work in October would only be able to earn £917 before being taxed. The emergency tax code is another word for the non-cumulative basis. It can also be called the ‘week 1/ month 1’ basis. It is signified by either W1 or M1 or X at the end of the tax code. A joiner should complete a new starter checklist. Depending on their response to a questionnaire relating to their previous income for the tax year they will be placed onto a cumulative tax code non-cumulative tax code or BR tax code. This simply means that basic rate tax is being deducted at source. It is appropriate where an employee has another job or source of income which uses up the personal allowance. The section dealing with employees with more than one employer provides further information. The PAYE coding system is not capable of collecting the correct amount of tax in all cases. For instance, people born before 6 April 1938 obtain a higher age related allowance. Once income exceeds a threshold the age related allowance is abated. Earnings cannot be known in advance and therefore the PAYE code cannot factor in allowance abatement. In practice, individuals with more complex tax affairs would likely calculate tax payable via the Tax Return.